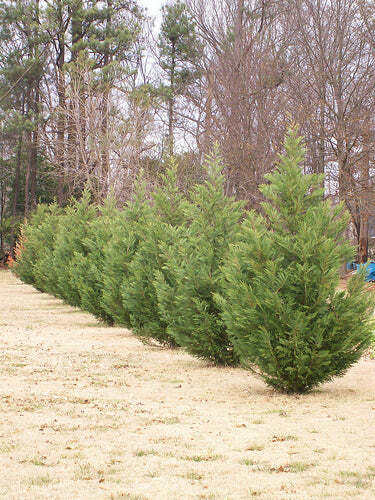 Emerald Green Arborvitae is a great alternative to larger evergreen trees such as the Leyland Cypress, as the Emerald Green has controlled growth that can be perfect for tight landscaping areas. 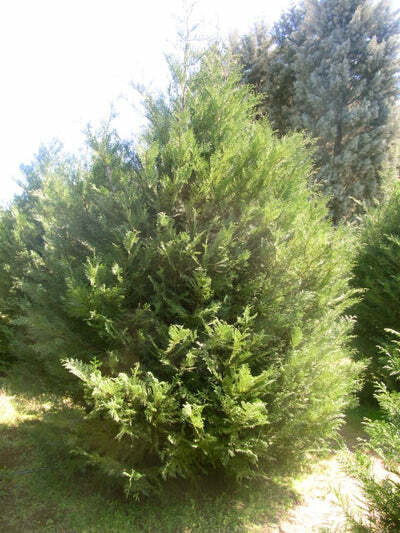 The Emerald Green Arborvitae's hardiness and resistance to cold make it a solid choice for Northern landscapers, who might otherwise use Leyland Cypress. Many people use the Emerald Green Arborvitae as a privacy barrier or to block out noisy neighbors. The Emerald Green only grows 12'-14' feet tall, so it's perfect for small landscaping areas or below power lines (though please check with your power company for local heights and regulations). If you want to create a privacy barrier with the Emerald Green Arborvitae we would recommend that you plant 2'-3' feet apart and follow our planting instructions. Emerald Green Arborvitae trees are a deep and rich green color year-round, which displays how robust they are. 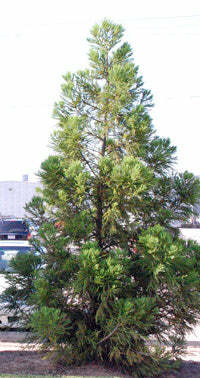 Like the Leyland Cypress, their foliage grows in flat sprays and, close up, the needles appear covered in fine green scales. 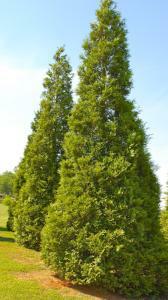 Emerald Green Arborvitae are drought tolerant, love being pruned, and a max height of 12'-14' feet tall. Emerald Green Arborvitae trees make great privacy plants in a tight space. "Aborvitae" is Latin for "tree of life." 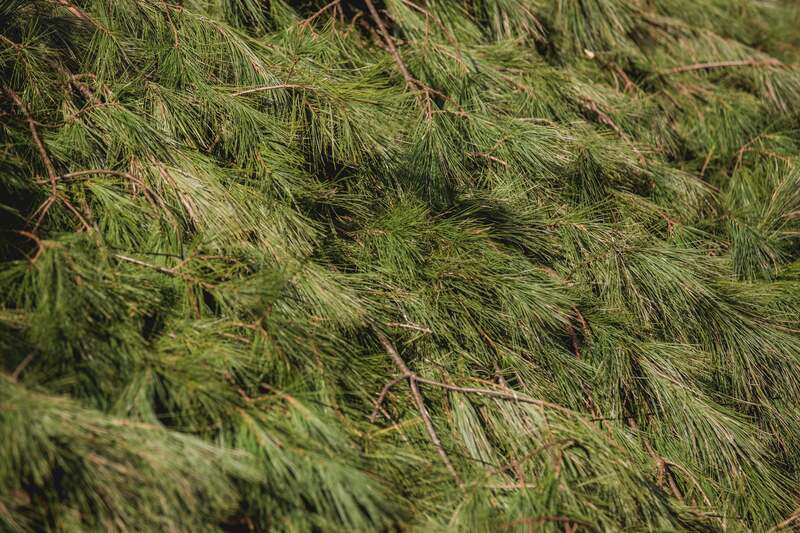 Emerald Green Arborvitaes received their name from folklore about the alleged medicinal value of their resin. Growth Rate: 6-9 inches per year. The recommended spacing for Emerald Green Arborvitae Trees is 2-3 feet apart if you are using it for privacy. If you want quicker privacy, plant them about 2 feet apart. 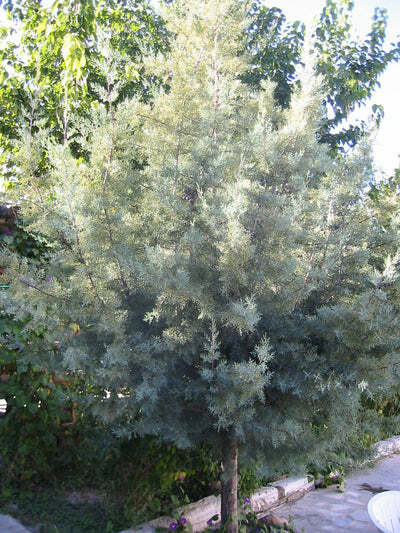 Emerald Green Arborvitae Trees typically grow about 3-4 feet wide. Dig hole about 2 inches wider and deeper than rootball of your tree. Place the plant in the hole a fill in with soil. Some soils e.g. clay will need potting soil or fine mulch mixed in. Water until the soil is saturated; then gently apply pressure around the tree to make the mud "squish" around the plant. Carefully follow fertilizer instructions from the figure below. Lightly mulch around the tree to help with fertilizer runoff and it looks great. When looking for a fertilizer there are a few elements at which you should look. The first is make sure when fertilizing your Emerald Greens that you are using a slow release fertilizer. Sometimes this is called a controlled release. Then you'll need to look at the formula of the fertilizer. It is done in this format: Nitrogen (N), Phosphorus (P), Potassium (K). For the Emerald Green Arborvitae we recommend that Nitrogen be high and then Phosphorus and Potassium be about half of that. Some examples that are commonly found in local stores are 12-6-8 and 14-7-7. You should always follow the instructions on the fertilizer you purchase as they all work differently. Here are some general guidelines that you should follow. The best dates to fertilize are March 31, June 30, and September 30. 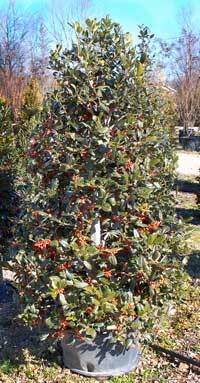 Sprinkle around the drip line of the tree (DO NOT MIX IN SOIL). Pruning can help make Emerald Green Arborvitae bushier. It is recommended that you disinfect your shears before you begin and even after each shear to prevent disease spread. You should prune dead or diseased limbs anytime of the year but you should consult your local coop extension for your local time to prune. To encourage thick bushy trees simply trim back the limbs that have outstretched the rest of the tree. Trim it into the desired Christmas tree shape. It's important to always make sure to water any plant after you've planted it. Emerald Greens can typically handle as much water as you can throw at them but they do not like to stay wet. I good rule of thumb is to scratch the soil at the base of your tree. If the soil feels moist but not damp they do not need water. If the soil is dry and dusty you should give your plant water. In cases of a drought, it may be necessary to water the foliage and the tree itself 2-3 times a day to prevent them from overheating. Currently, the Emerald Green Arborvitae is free of any serious disease but they do sometimes suffer from cankers or needle blight. In the case of cankers, you should simply trim the dead limbs and make sure your plant does not get stressed from lack of water or heat if possible. Much like a person, stress is what can cause disease. In the case of needle blight, you will see green postules towards the end of the stem and there will be yellowing on the branches. If you happen to have this problem simply spray your plant with copper-containing fungicides every 10 days. While the Emerald Green Arborvitae is a drought-resistant plant it is important that it gets water in the winter months. The southwest, in particular, can have very dry winters. If you are having a "winter drought" you should water your plants at least twice per month.